Click to print this placemat. Printable placemats help keep kids occupied at the dining table at home or in a restaurant. They also provide educational opportunities and an avenue for kids to express their creativity. 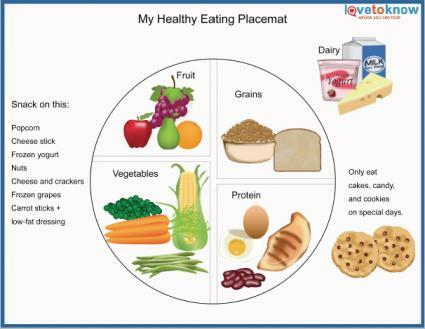 These placemats for kids may be downloaded and printed for free. After printing, consider laminating the placemat to help it last longer and stay clean. 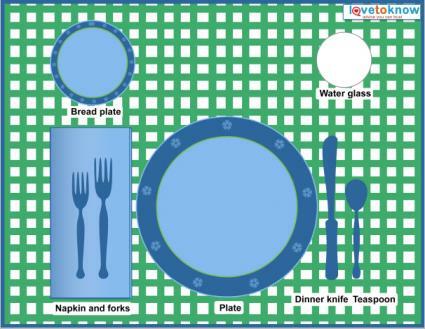 If you need help downloading or printing the placemats, this article offers helpful tips. This placemat (above) helps kids learn the proper way to set a table. It features a place setting with each utensil and dish labeled. It's never too early to teach kids table manners. 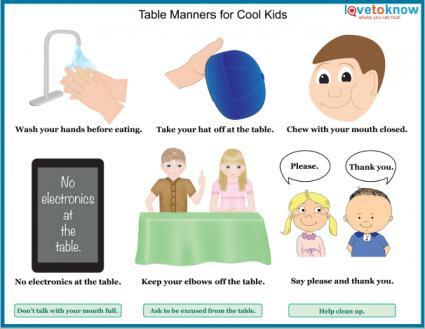 This placemat highlights table manners such as saying please and thank you, not chewing with your mouth full, and washing hands before eating. It's important that kids learn healthy eating habits at a young age. Healthy foods and tips are displayed on this placemat. Engaging activities such as a word search, tic-tac-toe, pictures to color, and a word match, are included on this placemat. Lee Hansen Graphics offers holiday-themed placemats and activity placemats. Every Day Mom Ideas has a placemat for kids to color and draw a picture of their dinner. 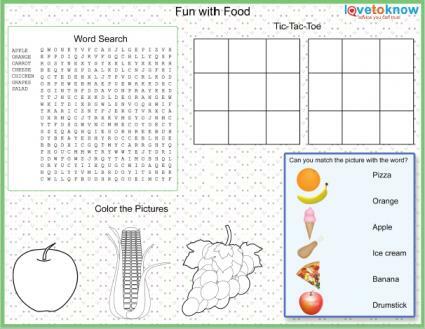 Kids can practice writing, do a word search and maze, or color an apple on this placemat from Apple Pie for Dinner. Printable placemats are a great way to keep kids entertained while they wait for a meal to be served. They also make great table covers for craft time. You probably don't want your kids distracted by an activity placemat at every meal, but there are times they come in handy.